Sierra Leone was my home for just under a year from 2013-2014 and while living there it was exciting to watch the country growing in economic prosperity and potential. By March 2014, when Ban Ki-Moon came to close the peace process, it really did seem that fondly nicknamed ‘Sweet Salone’ was putting its (unfair and inaccurate) reputation as a war-torn, defunct African nation behind it. “Salone go better’ was uttered at every turn as tourists began to fill the Western Peninsular’s white-sand beaches and investors started to snap up prime opportunities in one of the world’s fastest growing economies. Then just a couple of months later, on May 26th 2014, WHO announced that the deadly Ebola Virus had reached Sierra Leone. I recently returned to Sierra Leone and spent time in Freetown and Kailahun learning about the impact of Ebola on my friends, on those living with disability and on Ebola Virus Disease (EVD) survivors themselves. In coming weeks I will share some of my photography from this trip. Arriving in Freetown was in some ways surreal, everything looked the same but everything is different. In a country where handshakes are natural and come easily I found myself having to shove my right hand in my pocket to remind myself that this was no longer appropriate. Checkpoints in Kailahun that once served as strategic posts in the rebel war now host temperature gun wielding officials and the magic ’36-point-anything’ has become the news you most want to hear. In so many ways life goes on but life is now accompanied by buckets of water and chlorine and the constant background knowledge that to touch is to take a risk. For most of my Sierra Leonean friends life under the threat of Ebola is now routine though they still talk of returning back to normal. 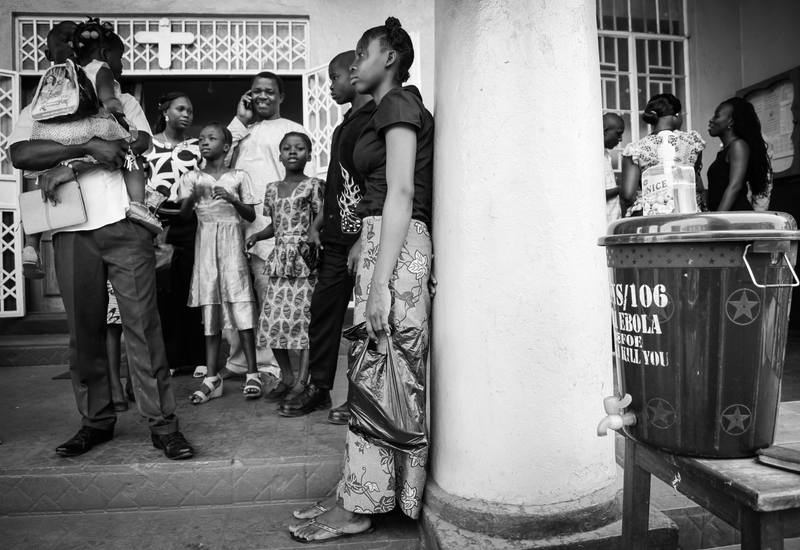 For those I met who survived EVD, but who have lost those they love, Ebola has changed their social landscape forever. Regents Road Baptist Church in Freetown; worship continues but the now ubiquitous bucket of water has become par for the course as part of the Sunday routine. In true Sierra Leonean fashion ‘Mr Ebola’ has become a bit of a celebrity. He has had songs written about him, he dominates not only the NGO scene but also the political arena where he is used for point-scoring by politicians and wannabe politicians alike, he has become both the topic of hot gossip, radio spoof shows and street drama sketches. Money is to be made from Mr Ebola and while most of the aid money coming into Sierra Leone is reaching those who need it most bank notes are of course seeping through the cracks. Stigma still surrounds EVD survivors but at the same time those who have escaped infection are beginning to fake Ebola discharge certificates in the hope of securing some ‘Ebola gold’. Mr Ebola is deeply unpopular but at the same time has become a conversation starter in the same way the Brits begin most repartee with a comment on the weather. It is hard to believe that while my husband and I spent time in Freetown last June, Ebola was already sweeping Kaliahun like a forest fire. Back then so few people in the capital city considered Ebola as a topic of interest, let alone a real threat. 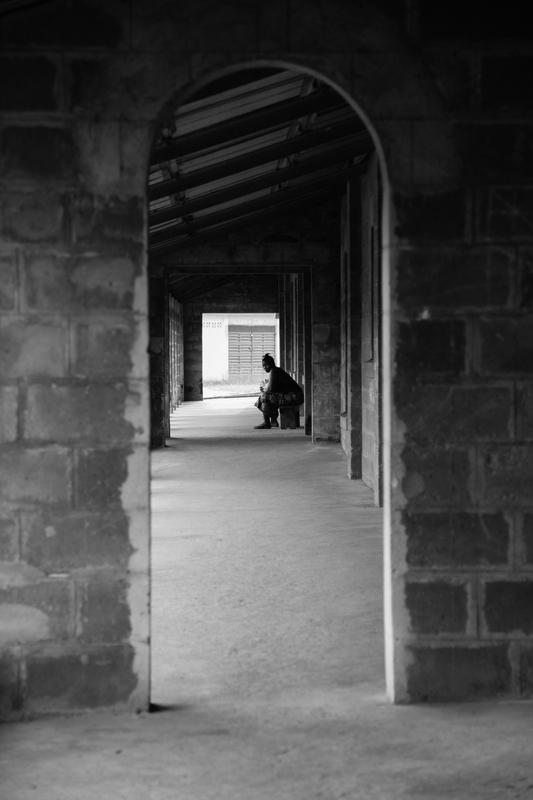 A lone patient at the Nixon Memorial Hospital in Segbwema, Kaliahun. Upon reaching Kaliahun ready to begin work for one of the NGOs I was visiting the country for I spent time at the Nixon Memorial Hospital in Segbwema. A hospital that kept going despite being badly hit during the rebel war is now facing a new enemy. After five members of staff died at Nixon during the early days of the epidemic patients now fear treatment in the hospital, despite Kailahun having no new cases of Ebola for over 100 days the cloud of suspicion and distrust hangs over the hospital. Dedicated and experienced staff and well-equipped wards stand clean and ready to accept new patients but the reputation gained in June and July now seems hard to shake. Nixon is not alone in this, children are meant to return to school on April 14th but so many schools are now labelled ‘Ebola schools’ it is hard to see that happening in some areas of the country. Sierra Leone’s health and education crisis is compounded not only by the outbreak but by the fear of the return of Ebola. Sometimes fear is an enemy more powerful than the root cause of the fear itself and as women opt to give birth in local health clinics or in their homes rather than seek assistance at hospital this crisis seems far from over. 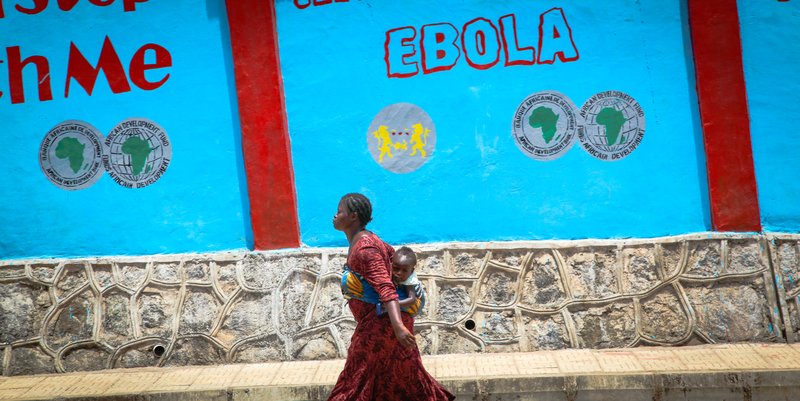 Sierra Leone may have been thrown a hefty blow by Mr Ebola, but she is not out for the count. This is an inspirational and moving account of the sheer determination and resilience of human spirit. Thank you! I look forward to sharing some of the individual stories – very humbling. What a lovely post – I agree that it seemed especially cruel that this disease should hit just as there were signs of the country emerging from its tragic past. As late as June last year I was walking along the beach at Tokeh sands wondering how a boom in tourism might spoil the country’s natural beauty – seems like a silly thing to have worried about now. Lets hope they bounce back soon. I had the same thoughts around the same time! Hoping they would manage tourism well in country to preserve the beaches….. I will say that among the difficulties there is hope though. The people of Sierra Leone remain the hope I think – they get knocked down and then back up again. I spoke to EVD survivors, many who had lost all of their close family, and yet they still spoke of a bright future…… We hope and pray.